Tied to Technology, Ya Think? Oh jeesh Plinky and WordPress this one’s easy. I couldn’t and I mean couldn’t live without my computer. I know some of you thought I would say my Kindle but nope it’s my PC. I blog on it for cripes sake. I need my computer. For someone who suffers so deeply with anxiety and panic, it’s my gateway to the outside world. I’ve enjoyed so many interesting people through their blogs, twitter and facebook on my computer. I bank on my computer. I write on my computer. I listen to music and watch videos on my computer. I attend AA meetings on my computer. I research with my computer. My computer is a must, it’s something that is definitely a must and I probably take it for granted way too much. I wish it worked better and I wish they weren’t obsolete every six months but definitely something I wouldn’t want to live without for very long. Okay, so I guess it’s actually my computer and the internet. 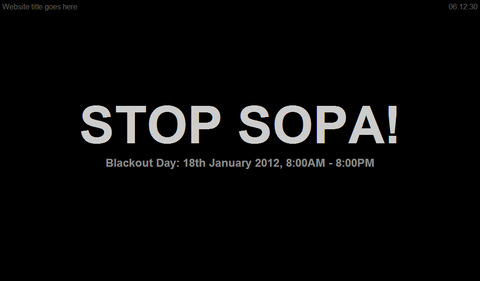 On January 18th, 2012 The She Chronicles will be going dark to protest against SOPA/PIPA. This will be happening by making this site private for that day. I know I have a small, not too popular website here and it probably won’t put too many out but if I do it and you do it, then maybe politicians and those that support SOPA/PIPA might double think what they are about to put in place. Please consider doing this and passing on the idea to everyone you know. I DO NOT and WILL NEVER SUPPORT SOPA/PIPA. UPDATE: With the enormous help of PiedType, I will be completely blacking out The She Chronicles in protest of the SOPA/PIPA on January 18th. Please pass around the information of this post by PiedType on how you can also blackout your website. I would like to suggest all of you to do it, as a matter of fact I beg of you to do it. I don’t know all the logistics on this but this is pretty darn ingenious! The people whom thought this up should never have to pay taxes again. Rumor has it Facebook has four new viruses going around and spreading craziness to peoples’ computer and I just want to take a minute to let you all know about them. Why? Because I like all of you and I hate when a virus takes my computer out and all of these viruses can and will do that. If you get a notice of a PHOTO TAG … Do not open it. If you get a notification that a friend reported you for offensive behavior etc… Do not open it. If you get a message from your friends via chat saying click this link … Do not open it. If you see a status update from your friend about a video that no one can watch for more than 15 seconds…Do not click on it! And it’s up to you if you want to let your friend know. If you have seen or done any of these four things, a good thing to do would be to change your passwords immediately and also run a virus program check to make sure you are okay. Just thought I’d pass this information on. 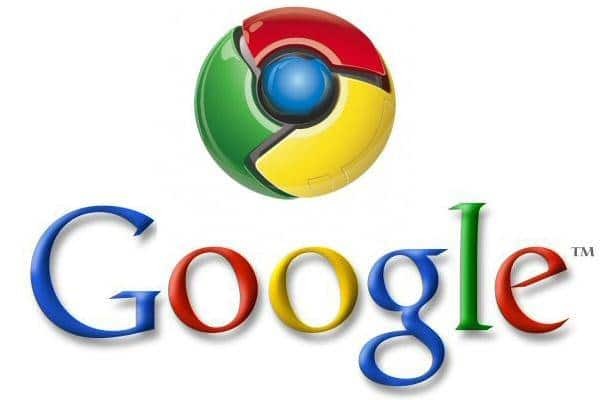 Anyone else using Google Chrome out there? Well I do and I normally love it but it seems they did some sort of update last night and now I keep getting the ‘An addition plug-in is required click to install” bar at the top of my screen. I have done EVERYTHING on their help page to try to resolve this and nothing is working. I’m waiting for them to respond to me to help me fix this but thought I would ask all of you very intelligent people if you know anything that I can do to resolve this since it’s making me dizzy watching that darn bar appear and then disappear on every website I go to. Suggestions? Ideas? Anyone?